MMD candidate for Lufwanyama constituency Annie Munshya Chungu says she strongly believes that she has performed well in the last five years she has been Member of Parliament and deserves another five year term on August 11. Ms Chungu, who is MMD vice-president for Administration, said in the last five years she has been Member of Parliament, Lufwanyama had experienced a lot of infrastructure development such as the rehabilitation of the Kalengwa road, construction of the hospital, police station and schools in the area. She said in an interview in Lufwanyama that while the area had seen major infrastructure developments, a lot more needed to be done to improve the lives of the people in the constituency by creating jobs for the local people and empowering of both women and youths. “I think I have done a number of projects which have improved people’s lives, but then a lot more needs to be done. I think the people in Lufwanyama would be fair to give me another term so that I take the constituency to greater heights. “If they decide to vote for somebody else, the development which the area has recorded may be put in reverse gear because that person will not even know where to start from. They may even be unfortunate to vote for an absentee MP. So for continuous development, they should vote for me,” Ms Chungu said. She said if re-elected, she would work towards improving the road infrastructure leading to Chiefs palaces and finding ways of empowering the youths and women in the area. “Apart from empowering the youths and women, the issue of health and education infrastructure has improved, but we still need to improve. So, I need the support and help of the people of Lufwanyama in delivering my campaign promises. Let’s work in cooperation,” Ms Chungu said. On the campaign itself, Ms Chungu said she was happy that she was receiving a lot of support from the people in the area. 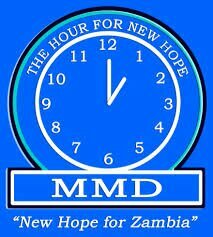 One of the defectors, Fairchild Fundanga said there was need for Ms Chungu who was also the MMD vice president for administration to double her effort in utilising the second mandate she might be given by taking development to all parts of the district. He observed that Ms Chungu had done part of the development while she was in the opposition but now that the party had formed a winning alliance with the Patriotic Front (PF) party, she should get the support needed to foster development in the area.